President's Corner - "May is for Making Memories"
Well, it’s almost the middle of the year, which means the season of beginnings and endings is here! Spring has been slow to make its presence known this season. The arrival of May normally convinces all of us summer is coming! Cinco de Mayo kicks off the month of celebrations, with Mother’s Day quickly following. New moms celebrate the future of motherhood moments to come, while others of us honor the mothers who have left guideposts on mothering never to be forgotten. And as the academic year comes to a close this month for students everywhere, end of the year festivities begin, along with the realization that new opportunities are on the horizon for those graduating from one season of life and moving on to a new one. What do all of these moments have in common? Two things—a celebration and a memory making moment. As we rush through the busyness of our lives, it is often only one of these two types of moments that gets us to slow down and breathe for a second. And sometimes it doesn’t even happen then, as we rush from one celebration to another. Besides the need to slow down (we talked about that earlier this year! ), there’s another lesson to be learned. That is, while we are busy celebrating other people and other moments, are you taking time to celebrate your own successes and milestones? In the hubbub of life, we are so prone to rush past acknowledging our own successful moments. And we as women are notoriously bad about it. Every celebration doesn’t have to be about major “bigger than life” moments. Sometimes it’s as simple as acknowledging that you kept a promise to yourself or that you stood up for yourself at work or home. As the South Sudanese-British model and designer Alek Wek once stated, “The most beautiful things are not associated with money; they are memories and moments. If you don't celebrate those, they can pass you by.” And when we are bad about celebrating for ourselves, this is when our lovely EWTG colleagues come to the rescue to help us out! Whether it is showing up for a performance or helping with a donation drive, the women of EWTG know something about helping each other celebrate the special—and the not so special—moments in our lives. It is that kind of support that gives rise to movements and glass-shattering progress at home, work and in our society. EWTG is glad to be here to celebrate ALL the moments of your life, and to create new memories too. Whether it’s achieving a new level of professional involvement and development, serving the community in ways you previously have not, or supporting a colleague in an Executive Success Team. There is a memory in EWTG waiting to be created by you. For example, we are thrilled to support two EWTG members who were successful in being admitted to the 2018 class of Leadership America. Retha Youell, a member of the Brazos Valley affiliate, and long-time EWTG member, former President and Woman of the Year, Carol Lauder have kicked off their year with a visit to Boston. EWTG is especially proud as it was a scholarship from our organization that is contributing to both ladies’ exciting year-long opportunity. Here’s to making memories that will leave a legacy! 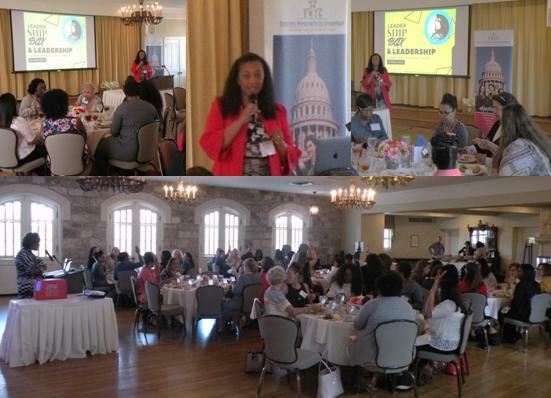 At the March Professional Development Luncheon in Austin, our guest speaker was Deputy Parliamentarian of the Texas House of Representatives Shalla Sluyter. Her presentation, which was fundamentally about ethical decision-making and leadership, began with a brief discussion of the social philosophy foundations and psychological models of human decision-making. As one might guess, there tends to be a divide that correlates with gender; men tend to approach questions of right and wrong from the perspective of justice, whereas women who tend to approach the same questions from the perspective of care. While some studies indicate that women may be more ethical in their work, they also tend to be more cautious, and that "feminized approach" can be a disadvantage in terms of workplace productivity and career achievement. Additionally, some studies indicate a tendency to punish women more harshly for professional misconduct than their male counterparts (which is one reason it's important to find mentors like you (i.e., female), who can advise you in tricky situations). The point, however, was not necessarily to shine a light on the differences between men and women but to demonstrate that, when it comes to ethics and leadership training, "one-track" training programs aren't going to work. At any given moment, you're not speaking to half of the people in the room, and as Ms. Sluyter pointed out, "if you're not speaking people's ethical language, you're not going to get through to them." Different methods lead to different outcomes, but indifference harms everyone. Align yourself with those whose ethics align with your own, and have a disaster plan just in case everything goes wrong. Ms. Sluyter's presentation is full of true stories and illustrative examples that bring this topic to life. It will make you laugh, nod in agreement, and most importantly it will provoke serious thought about your role as a woman in leadership and as a role model. If you missed it or if you'd like to revisit the presentation, you can! Videos of the Austin professional development luncheons and mini-courses are available for viewing on-demand on our Facebook page. Just go to our Facebook page and click on "March Professional Development Luncheon featuring Shalla Sluyter" dated March 28th. 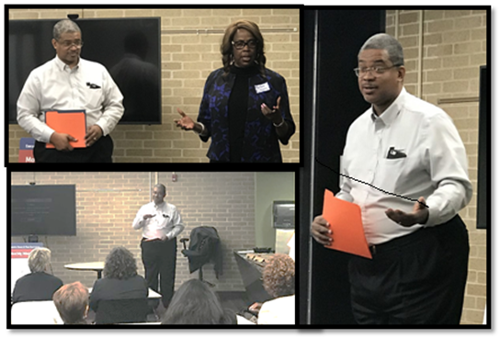 Roger Davis, our April mini-course luncheon speaker, graduated with a Bachelor of Science in Accounting from Florida A&M University. He currently works as a customer account management representative with 3M in northwest Austin. He is also a tax specialist with H&R Block and a licensed life, health, property, and casualty insurance agent with Primerica. The luncheon topic was “New Tax Laws to Prepare for in Tax Season 2018”. This presentation focused on the Tax Cuts and Jobs Act of 2017 passed by the U.S. Congress that took effect January 1, 2018. The presentation addressed personal taxes, including personal exemptions, standard deductions, itemized deductions, alimony, child versus family tax credits, the ACA individual mandate, and tax rate changes. There were numerous questions from the audience on the tax changes. For the use of our members, Roger provided EWTG a handout with a summary of many of the new tax laws. The handout "Tax Cuts and Jobs Act - Individuals" provides information beneficial for all. NOTE: This handout contains general information and should not be relied upon as the only source of authority. Taxpayers should seek professional tax advice for more details. Thanks again to Roger for a very enlightening and informative training session. Videos of the Austin professional development luncheons and mini-courses are available for viewing on-demand on our Facebook page. Just go to our Facebook page and click on "April Mini-Course Luncheon featuring Roger C. Davis" dated April 11th. Our April professional development luncheon speaker featured Rachel Green, Founder of Leader Ship Box. Rachel is passionate about expanding the pipeline of women leaders and as an award-winning publicist and CEO of A Brand Called U, a successful public-relations and event-management company, Rachel has spent the past seven years securing more than 200 media placements for her clients. Rachel discussed her newest venture, Leader Ship Box, a quarterly subscription box service that combines professional development and fashion into one. Her vision for Leader Ship Box is to become a leading resource to empower women to become confident and educated “lady leaders” who reach their fullest personal and professional potential, regardless of race, ethnicity or social status. The boxes contain a new stylish handbag, a book authored by a Lady Leader, a professional development guide, and other amazing items centered around lifestyle and professional success. Membership has its benefits, as subscribers will have access to online quarterly Success Calls (conference calls), virtual workshops and book clubs, a network of women, and benefit from our affiliate programs. Conferences and workshops will feature a powerhouse female professional, which we call Lady Leaders, in the fields of beauty, fashion, tech, marketing, healthcare and more. 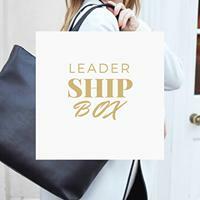 As a bonus to EWTG members, Rachel graciously agreed to grant an exclusive one-time $50 discount on a subscription to Leader Ship Box which expires June 10, 2018. Click on EWTG Leadership Discount to receive the discount. You will want to take advantage of this opportunity to participate in a unique leadership program. The EWTG team extends gratitude to Rachel Green for her generosity. Videos of the Austin professional development luncheons and mini-courses are available for viewing on-demand on our Facebook page. Just go to the following link: EWTG Facebook page and click on "April Professional Development Luncheon featuring Rachel Green" dated April 25th. We're joining forces to celebrate and recognize different groups of women. The Professional Development Committee and the Membership Committee think women are special and add value to any organization. This year, we've decided to recognize a different group of women each month. Stay tuned for future newsletter articles and emails of the identifying groups of outstanding women who may receive a discount towards attending the monthly professional development luncheon. At the April Professional Development Luncheon, we recognized six former presidents of EWTG who were in attendance (in alphabetical order): Gaye Greever McElwain, Dr. Susan Johnson, Carol Lauder, Connie Williams and Joelyn Weeks. These exceptionally dedicated ladies were recognized for their service to EWTG and received EWTG Swag bags. In addition to past EWTG presidents, several members of Alpha Kappa Alpha Sorority (right image) and State Comptroller's Office administrative staff were also recognized. Current and future Lady Leaders were invited to hear a dynamic speaker whom words were empowering. 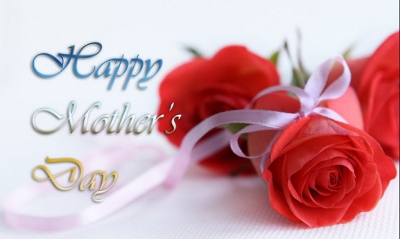 In May we will recognize Mothers, a role that can inspire, aspire and empowers those around her. Mothers - creators, motivators, innovators, nurturers, problem solvers, and encouragers are just some names that describe her; she is a leading lady. We are asking all mothers (like-mothers, god-mothers, adopted mothers, etc.) to come out and hear Dr. Colette Pierce Burnette as she speaks on types of quotients such as Intelligence, Emotional, and Leadership quotients at our Professional Development Luncheon. CEO & Founder, Organization Advisors, Inc. There are two things you must master to advance to the executive-leader level: (1) you need to think, act, and have the mindset of an executive-leader; and (2) you need a plan to develop the right business skills to establish an exceptional value for your organization. In this mini-course session, we will address how you can be an exceptional leader at your current level and how to develop a goal-setting plan for your career advancement. 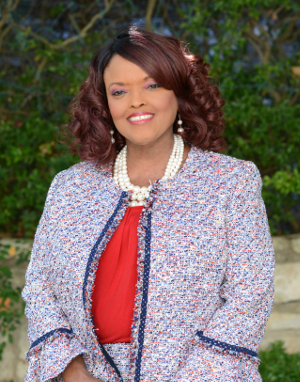 Connie Williams is the CEO and founder of Organization Advisors, Inc., a leadership development, coaching, and training firm. She is also the soon-to-be-published author of, Let Me Tell You Something: Life and Leadership Wisdom Nuggets, Volume 1. Ms. Williams has 35+ years of combined experience in executive-leadership, middle-management, performance, program, financial, and contract management. She has designed, led, and grown award-winning, nationally recognized, and multi-million dollar social service programs. She also managed multi-million dollar budgets and high-performance projects and research teams enacted by the Texas Legislature and health and human services policies. Dr. Burnette is an experienced leader in higher education with a deep commitment to advocacy for education as the great equalizer. Her “climb-the-ladder” experience in education began as Dean of Information Technology at Pierce College in Lakewood, Washington. She climbed up higher to serve as Vice President for Information Technology & Services and then as Chief Information Officer at Central State University. Taking another step, she served as Vice President for Administration and Chief Financial Officer at Central State University in Wilberforce, Ohio. She went on to serve as Interim President at Pierce College in Puyallup, Washington; and now President and CEO of Austin’s oldest institution of higher learning, Huston-Tillotson University. Dr. Burnette has combined her intelligence quotient, emotional intelligence, entrepreneurial spirit, and technical knowledge to forge successful careers in engineering, information technology, and education. 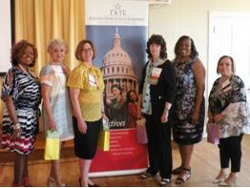 Dr. Burnette hosted the “No Risk, No Reward: Taking the Risk to Do What You Want With Your Career” panel discussion during the 2015 Texas Conference for Women. Locally, Dr. Burnette serves as co-chair for the mayor of Austin’s Task Force on Institutional Racism and Systemic Inequities. She is a member of the executive committee of the Austin Area Research Organization. Dr. Burnette is also on the steering committee for My Brother’s Keeper Austin and serves on the advisory council of Big Brothers Big Sisters of Central Texas. Your 2018 Board of Directors would like to announce the commencement of the EWTG Birthday Club. Beginning in June 2018 EWTG members that participate in the Birthday Club will receive $5 off their Professional Development (PD) Luncheon registration fees. This is an incentive and bonus to encourage our members to attend the monthly PD luncheon meeting. If you want us to celebrate your birthday in the newsletter and at the PD luncheon read more below. You must “opt-in” by completing the consent form indicating you wish to participate. Once you complete the form your birth month will be added to your membership profile. 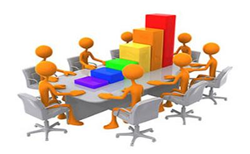 Only CMP (our management company) essential staff and the EWTG Membership Director will have access to the information. Again – it will include only your birth month – no date or year. During your birthday month, your name will be included in the Birthday Club in the monthly newsletter. You will also be eligible to receive a $5 discount off your PD luncheon registration fees. NOTE: Only one $5 discount will be granted per month. For example, former EWTG Women of the Year will be recognized in the same month as your birthday. You can only use one $5 discount for that month. So take a few minutes, fill out the consent form and join the EWTG Birthday Club. We want to show you some “love” and recognition on your birthday month. Cheers! If any questions email ewtg@ewtg.org. The 2018 EWTG Annual Professional Development Conference planning has been in progress over the past few months, and more details will be emerging on the EWTG website. The Conference Chairs have been working tirelessly with their committees to bring together the details for this year’s exciting conference! You will soon see links to the Exhibitor Sign-up, Silent Auction Donation Form, Conference Sponsor Form, and the Call for Presenters. EWTG is dedicated to developing, supporting and promoting professional development and leadership opportunities for our members to assist them in achieving excellence in their fields. Exhibitor Fees and contributions will help support the conference in its goal of providing a professional development opportunity relevant to members’ roles in government. Silent Auction proceeds fund the EWTG professional development scholarships available to our members for other training and educational opportunities. Sponsorship provides a great means of broadening and improving an organization's image and heightens their visibility by supporting different kinds of events. We seek organizations like this to support the Annual Professional Development Conference and to offer scholarships to our members. Professional women and men make decisions every day about where to devote their time and energy: to family, job or community. EWTG is seeking interested professionals for workshop presentations at the conference. If you or someone you know would be interested in being an Exhibitor, donating to the Silent Auction, being a Sponsor, and/or being a Presenter, please visit the EWTG website within a few weeks and review the information under the tab for the Annual Conference. Remember, the 2018 Annual Professional Development Conference will be November 18-19, 2018, at the AT&T Conference Center in Austin, TX! There will be links available to register for the Conference and to reserve a hotel room if you will be staying the night. Please keep your eye open for these new additions coming to the website soon! If you would like additional information or if you have any questions, please email me directly at vicepres@ewtg.org. Please join the Educational Events Committee for a fabulous wine tasting and tour experience at Water 2 Wine, a local custom winery located in North Austin. You will have the exciting opportunity to tour the wine production facility and learn the history and methodology of the winery. Not to mention, you will have the option to taste a few of the 70 different wine options available. The wines available have no histamines and are significantly lower in sulfites than store-bought wine. The wine sampled use imported grapes from France, Germany, South Africa, Australia, Spain, and New Zealand. The event will be held on Saturday, June 30, 2018, from 12:00 p.m. – 1:30 p.m. The fee is $20.00 per person and will include a one-hour tasting and tour fee and hors-d'oeuvres. The location is Water 2 Wines, 3300 West Anderson Lane #304, Austin, Texas, 78757. Please note: This event is open to the first 25 people to register. Please register as soon as possible to secure your spot. You have the option to gather in groups on your own to purchase a customized batch of wine and split the cost. Depending on the type of wine, the customization fee may vary from $250.00 - 350.00. NOTE: The customization fee is separate from the $20.00 one-hour tasting and tour fee. Please visit the web link below for additional information regarding customization option. For additional information, contact ewtg@ewtg.org - Attention: Educational Event Chair. The educational events committee is currently seeking volunteers to serve. If you are interested in participating this year, please sign-up online. this quick, online form and let us know what committees interest you! May 9th, 11:30 a.m. — Mini-course — See details above about this event. 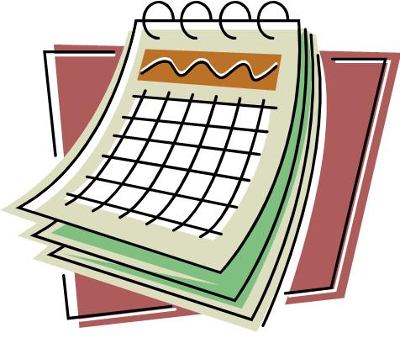 May 16th, 5:30 p.m. — EWTG Board Meeting — The agenda will be posted on EWTG's website by noon on Monday before the meeting. A summary of the board meeting minutes located on the website. May 23rd, 11:30 a.m. — Professional Development Luncheon — See details above about this event. June 10th — EWTG Leader Ship Box discount expires. — See details above about this event. 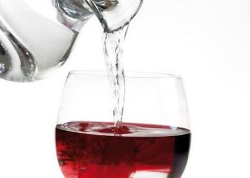 June 30th, 12:00 p.m. — Water 2 Wines Tasting and Tour — Water 2 Wine 3300 W. Anderson Ln. #304, Austin, Texas 78757. See details above about this event. November 18th, 5:00 p.m. - EWTG Annual Professional Development Conference Reception at the AT&T Conference Center in Austin, TX. See details above about this event. November 19th, 8:00 a.m. - EWTG Annual Professional Development Conference at the AT&T Conference Center in Austin, TX. See details above about this event.